This makes Recline XT the ideal piece of equipment for anyone with back problems or users who want an effective aerobic workout. The position of the pedals, which are lower than the seat, makes pedaling more powerful and effective. The display panel on Technogym Recline XT 600 Bike provides a variety of workout programs and tests, from CPR to manual workout profiles. 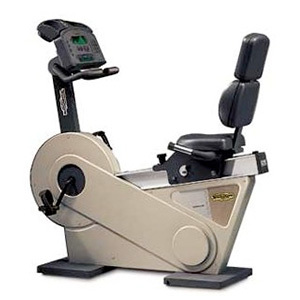 Recline 600 is the ideal machine for people who want to be active yet comfortable and relaxed.